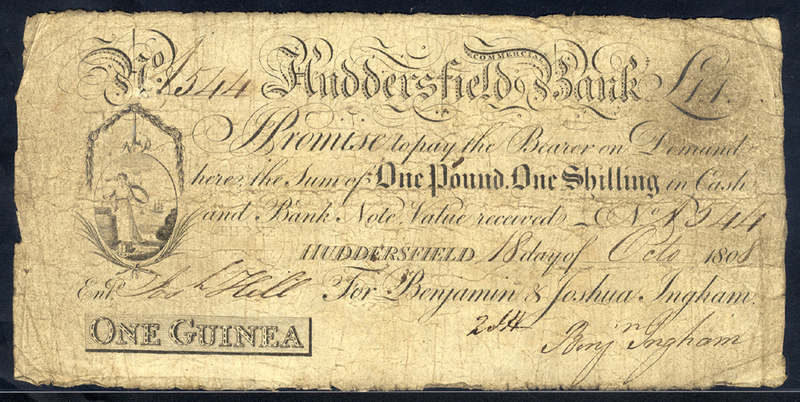 Huddersfield Commercial Bank 1 guinea, dated 1809 for Benjamin & Joshua Ingham & Co, Outing 1004a, Bankruptcy Exhibit Stamp on reverse, about fine. 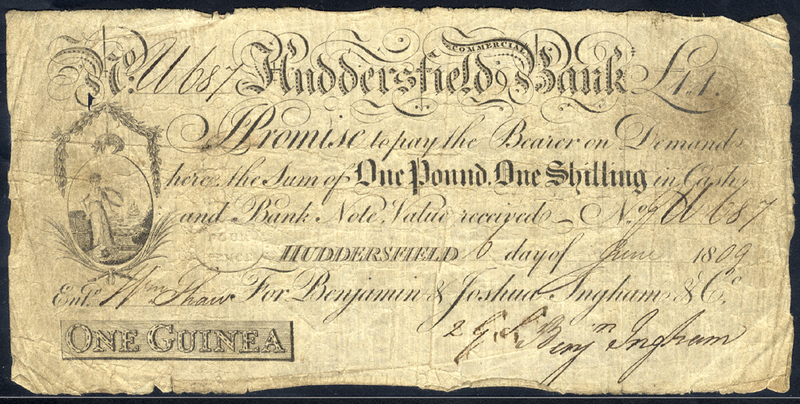 Huddersfield Commercial Bank 1 guinea, dated 1809, No. 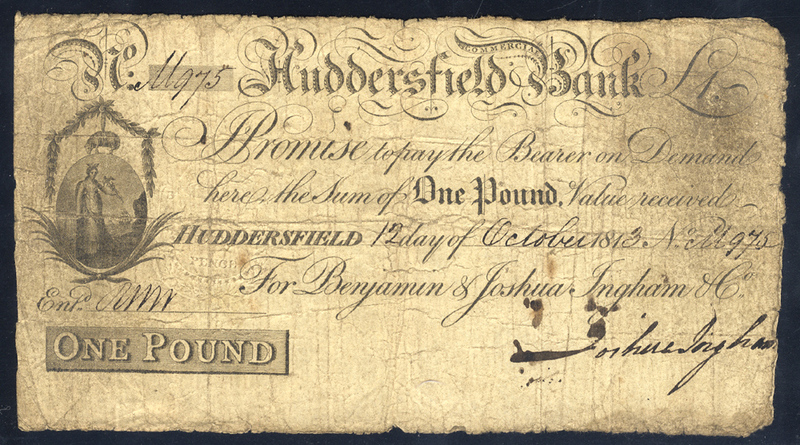 Aa446 for Benjamin & Joshua Ingham & Co ('& Co' is handwritten), Outing 1004a, Bankruptcy Exhibit Stamp on reverse, almost fine. 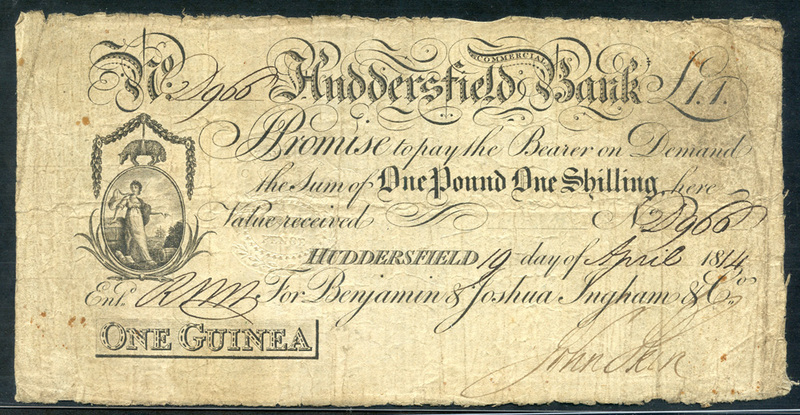 Huddersfield Commercial Bank 1 guinea, dated 1810 for Benjamin & Joshua Ingham & Co, Outing 1004a, Bankruptcy Exhibit Stamp in reverse, about fine. 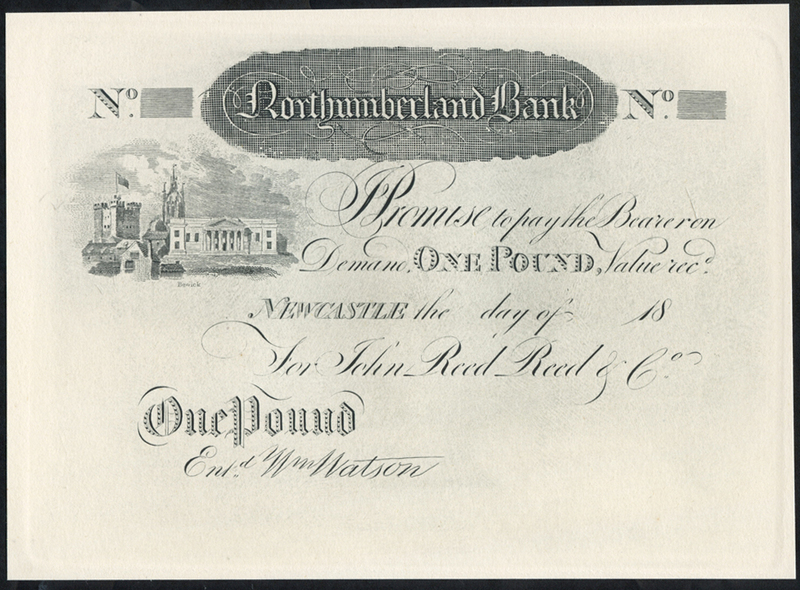 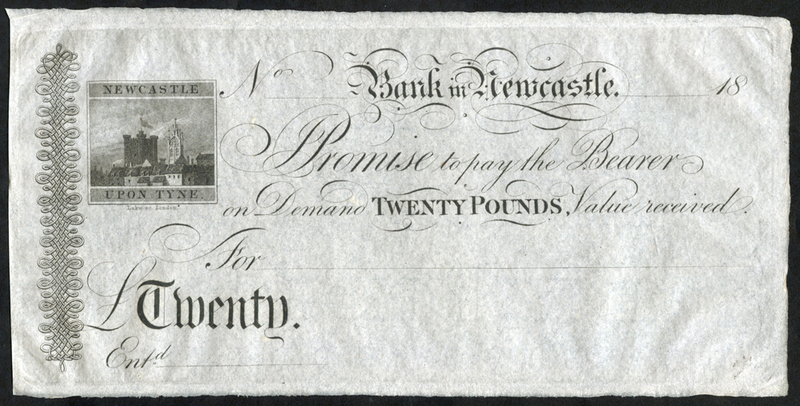 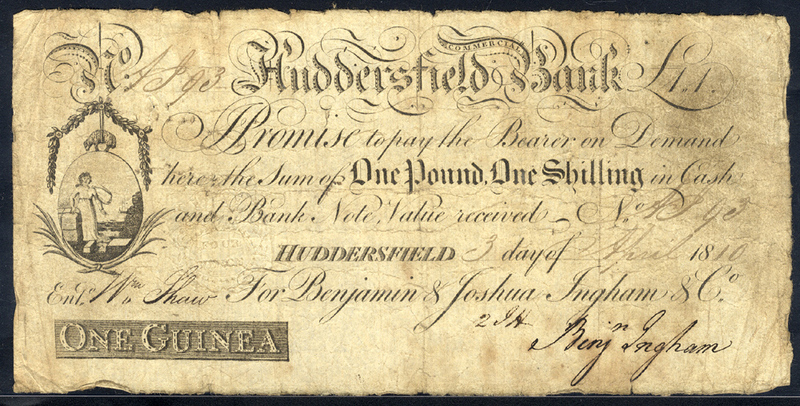 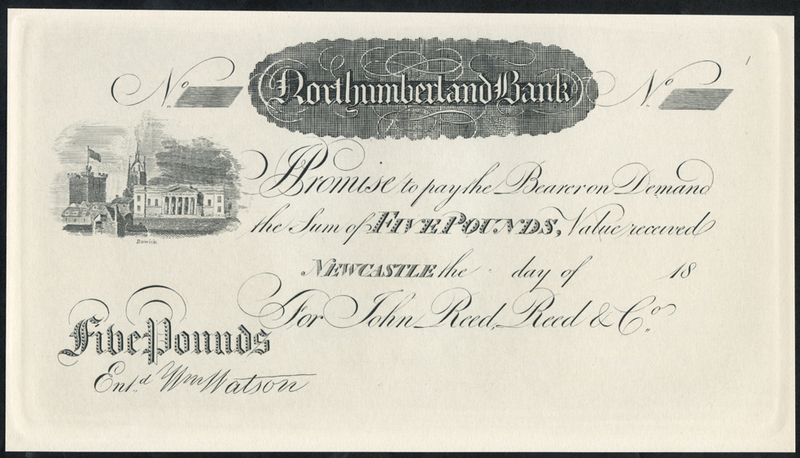 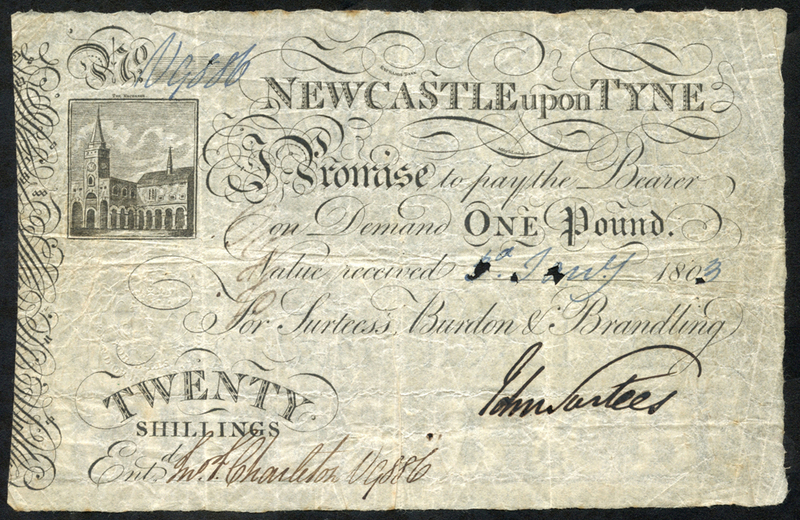 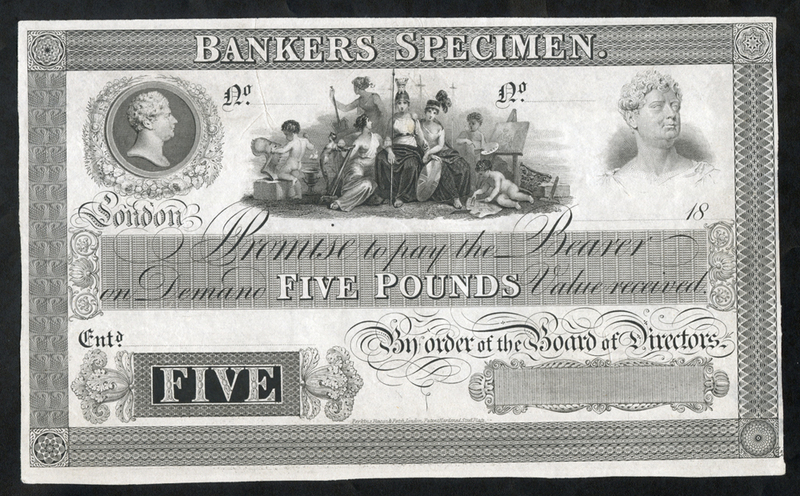 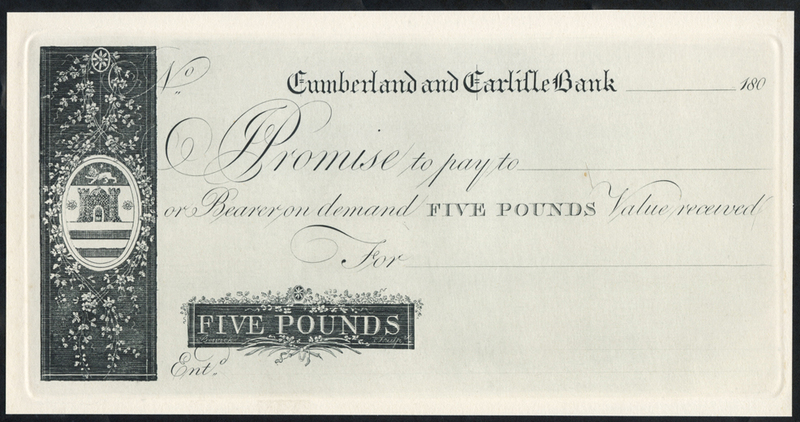 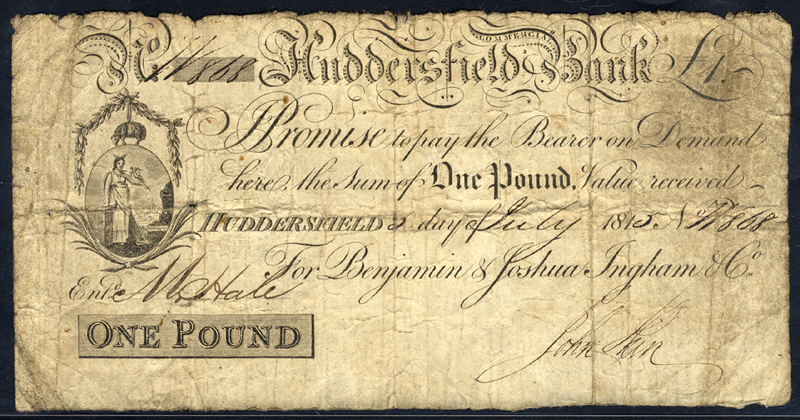 Huddersfield Commercial Bank £1, dated 1813, No. 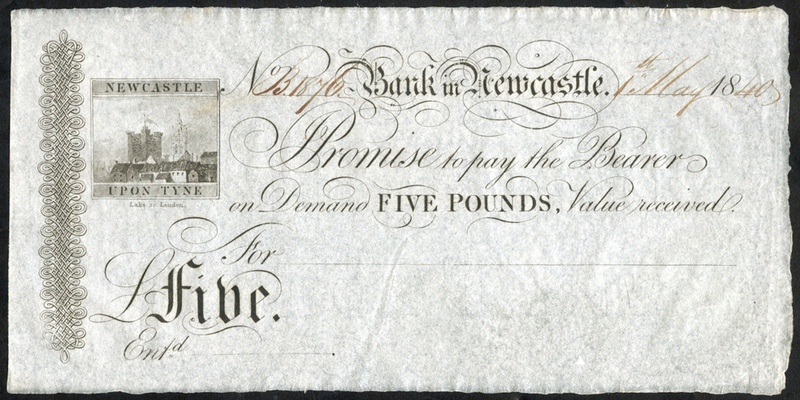 M975 for Benjamin & Joshua Ingham & Co, Outing 1004b, almost fine. 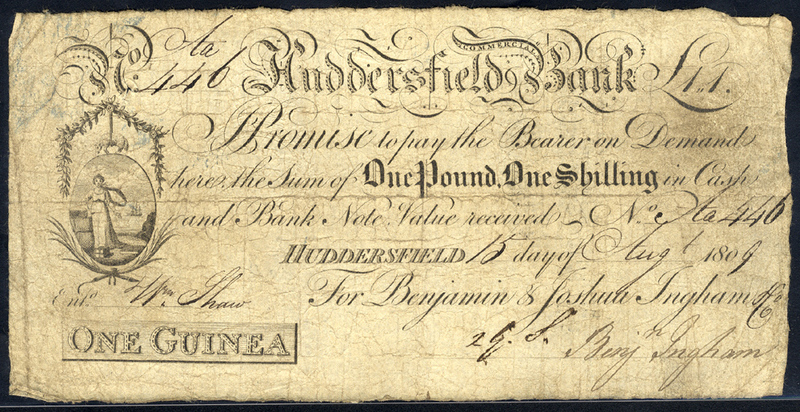 Huddersfield Commercial Bank 1 guinea, dated 1814, No. 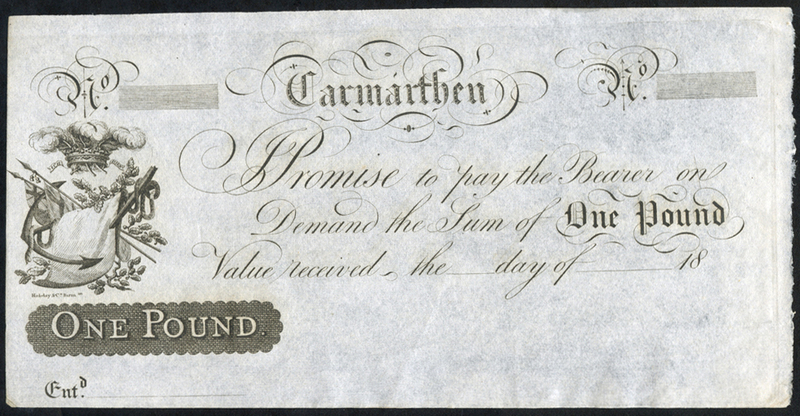 D966 for Benjamin & Joshua Ingham & Co, Outing 1004a, about fine. 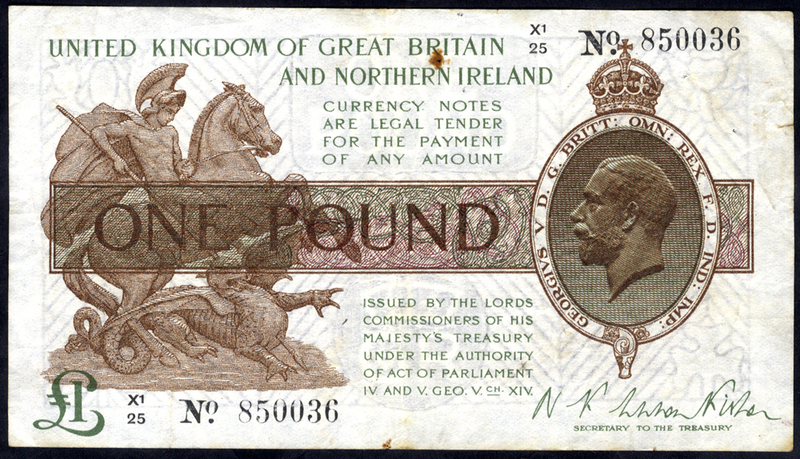 1927 Fisher £1 brown (X1/25 850036), couple of pin holes, fine++, Dugg.T35. 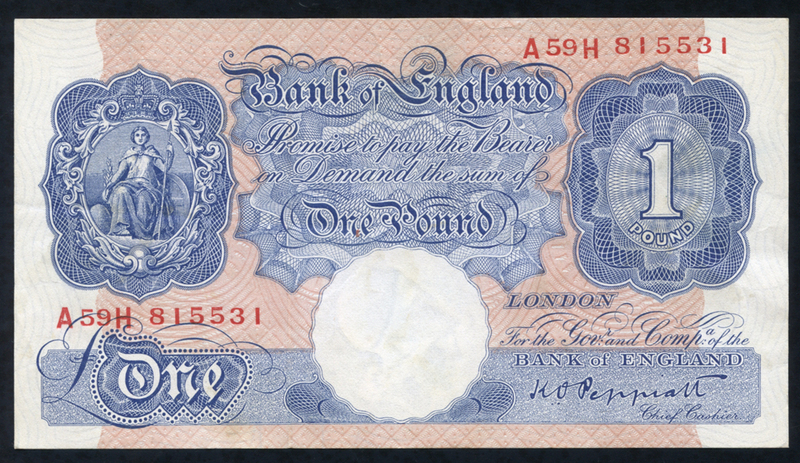 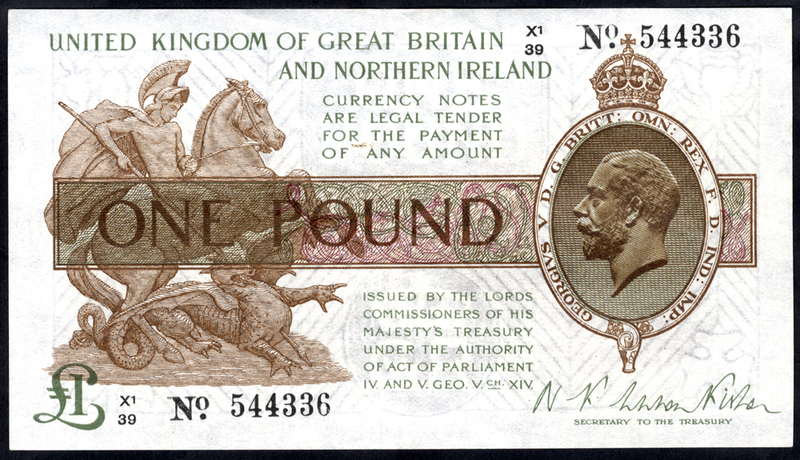 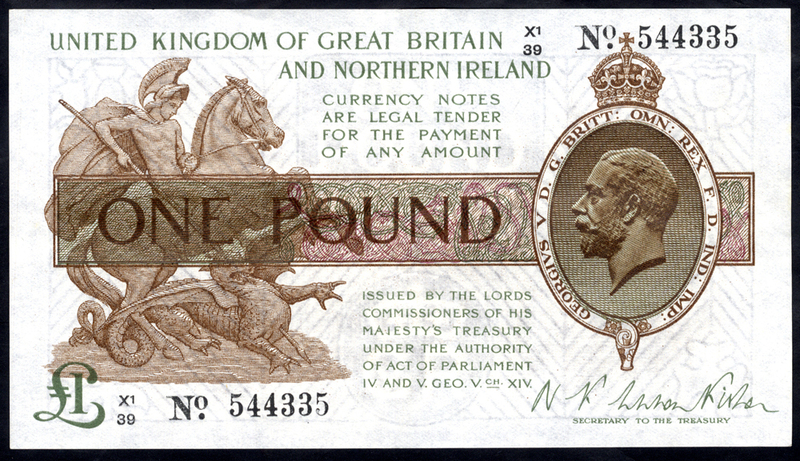 1940 Peppiatt £1 blue/pink (A59H 815531), EF+++, Dugg. 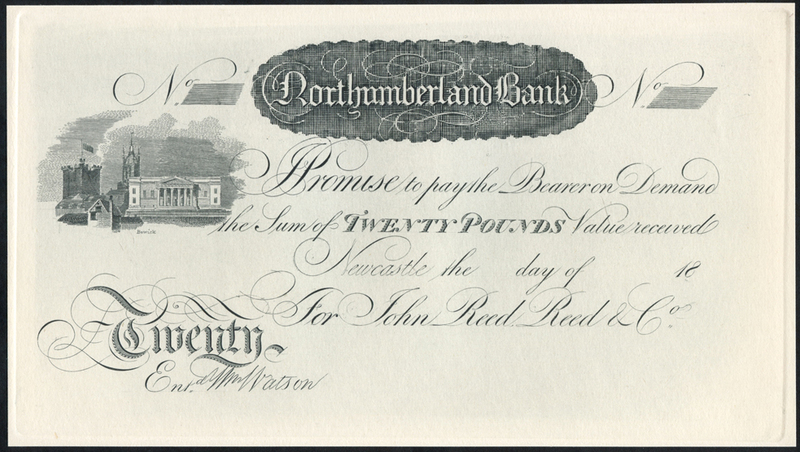 B249.